The Premier Victoria kitchen door design has a two stage arch and deep routing. This design looks great in wood effect and plain colour finishes. Prior to October 2012 the Premier Victoria design was known as the Napoli. Premier Victoria drawer fronts start from £2.10. 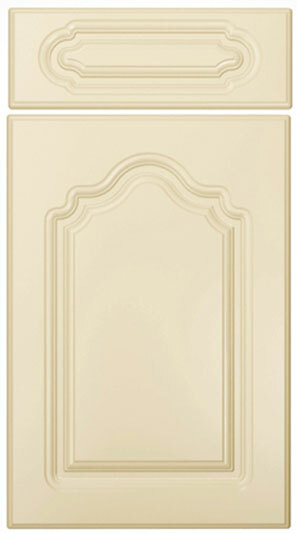 Click the button to purchase a Sample Premier Victoria design kitchen door. The Premier Victoria design is available in ALL non-gloss finishes. The Premier Victoria design is available in ALL high gloss finishes. Please Note: The Premier Victoria design is NOT available in any high gloss finishes.